Lots of people are facing difficulties to organize their working time. Some of the most common reasons/excuses why many people does not know how to organize their time are: it takes too much time, we do not know how to do it, we want to do it “perfectly”. The price we pay of not being organized sometimes is very high: missed goals, overlooked opportunities, wasted time, wasted money. Either professionally or personally, eliminating the “unnecessary” in every day’s life goes a long way in making you more productive. What do we consider unnecessary? Well, strictly speaking, anything that prevents you from reaching your particular goal. If you go into work every day having no idea what you want to accomplish, you’ll probably accomplish nothing. Therefore, one of the secrets of effective time management is to set aside ten to fifteen minutes before work and write down what you want to accomplish. These several minutes that you’ll spend planning contribute more towards you being productive and effective. Keep a record of your time for one full week. In this way you can learn how you spend your time and which activities are more or less time consuming. You will also get a preliminary picture of some of your weekly habits and you can try to determine your good and bad working habits. 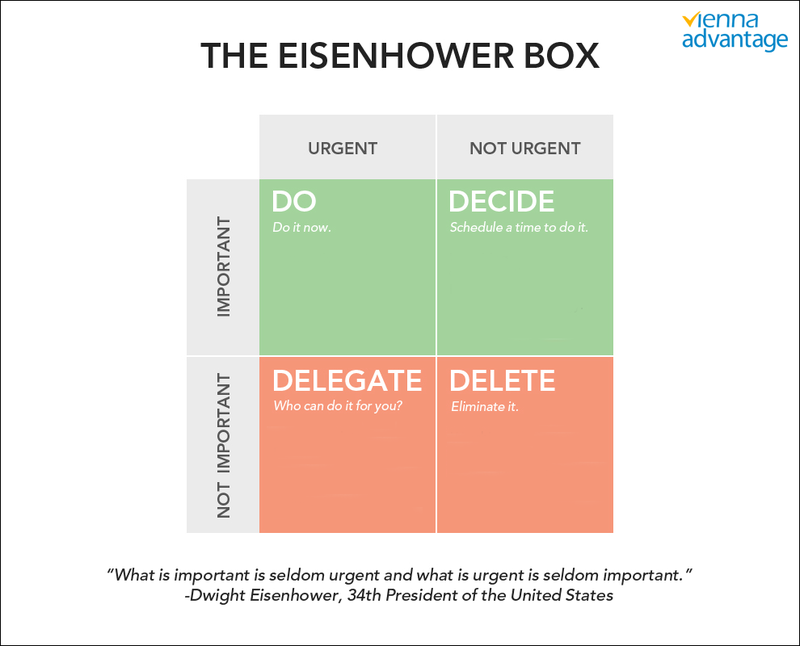 Next, make a daily “to do list” using the ABS analysis or Eisenhower Decision Principle. For an effective time management, you should also consider creating annual, monthly and daily “to do” list. How to beat procrastination and improve your time management skills? 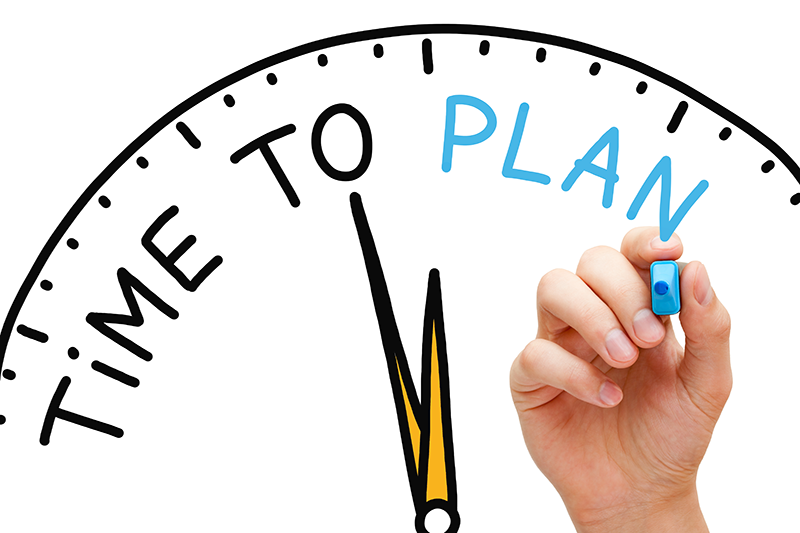 If you are a business owner you are probably very well aware of the benefits of effective time and expense management. Today there are various software solutions and applications that helps you manage your time and expenses. 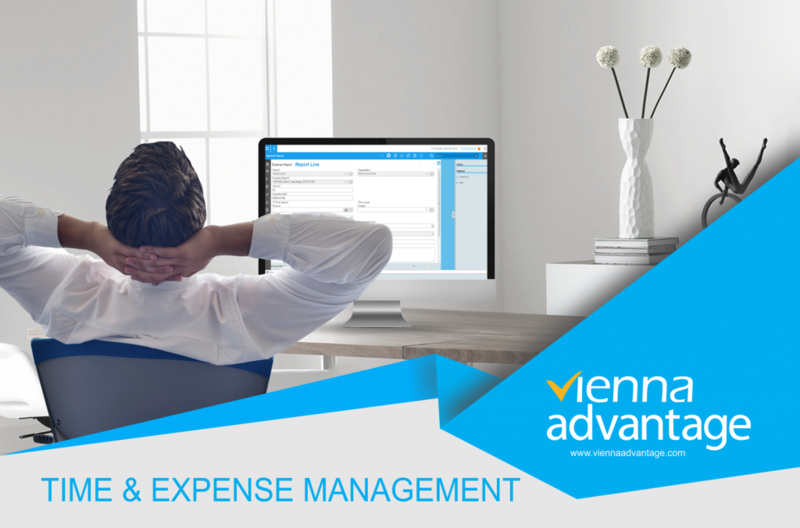 With VIENNA Advantage Time & Expense Module you can access the web user interface from anywhere, record your time and expenses on projects, against customers, and never miss a deadline due to automatic alerts generated by the system.